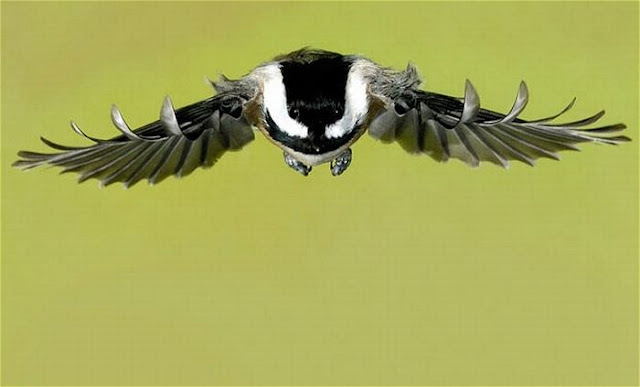 This Black-capped Chickadee apparently dropping down in mid-flight is frozen in time at 1/8000 of a second! This is a view we could never see with the naked eye. These images are all thanks to a very determined, patient and talented nature photographer named Roy Hancliff. 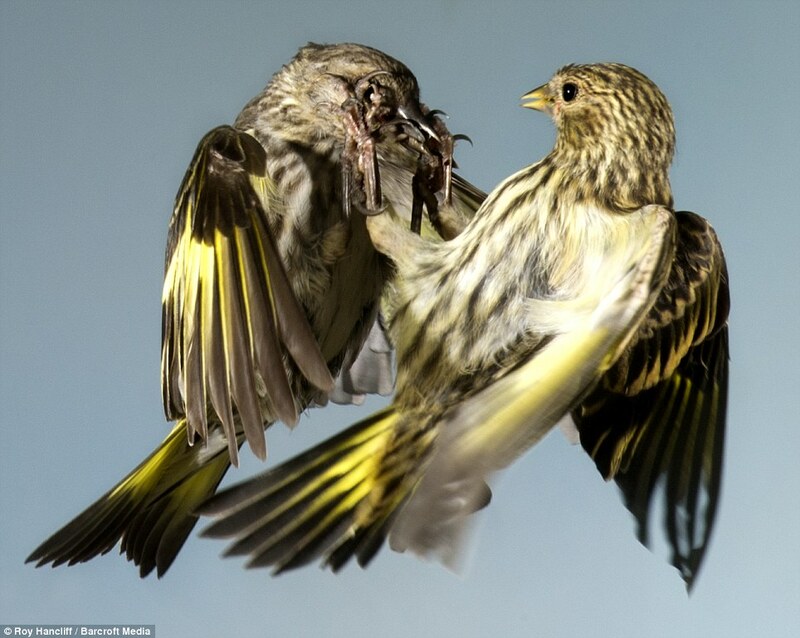 Hancliff uses a super snazzy camera (some gazillion-dollar Nikon) and says he has captured scenes like this pair of Pine Siskins in a mid-air battle that otherwise have never been seen. Hancliff says he waits for hours in the freezing cold, crouching behind a camouflaged igloo in his garden, in order to capture these moments. Here’s another shot of those Pine Siskins duking it out in mid-air. Who doesn’t want to see those wings in stop-motion, at least for 1/8000th of a second? Roy apparently draws this amazing variety of birds to his backyard garden in Okanagan, B.C., by feeding them copious amount of seed. 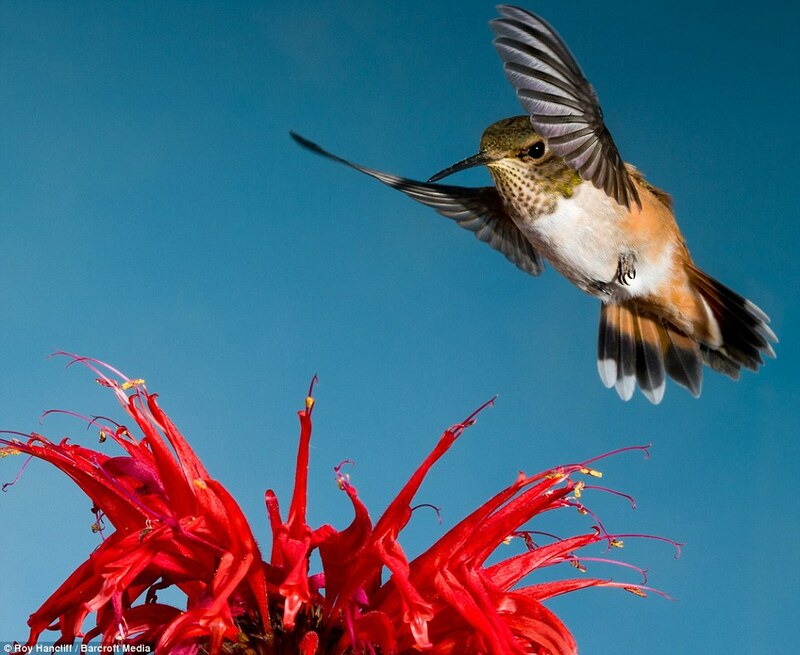 This is a Rufous Hummingbird, according to Len Gardner, a super-helpful naturalist from Orange County, California. 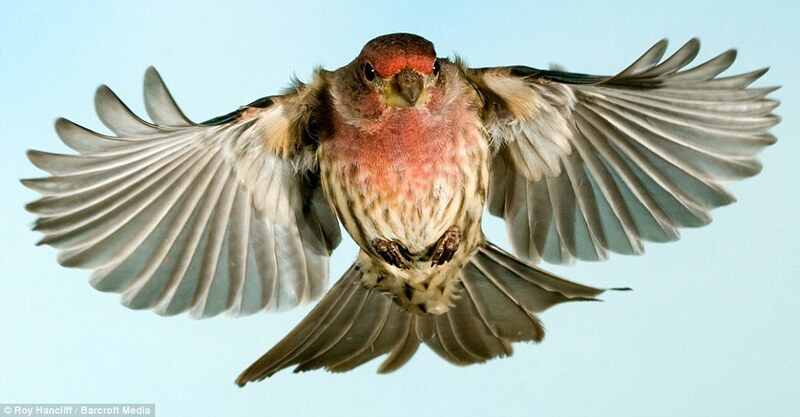 Their wings beat at about 90 flaps a second, so you do the math. Len says this is a Calliope Hummingbird. How else would you ever get to see the beautiful symmetry of a hummingbird in dive-bomb mode? Look at the detail on this guy’s back wings! 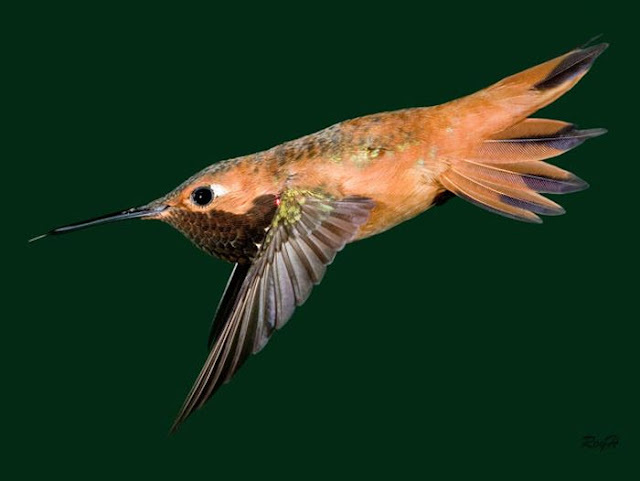 This is another Rufous Hummingbird. 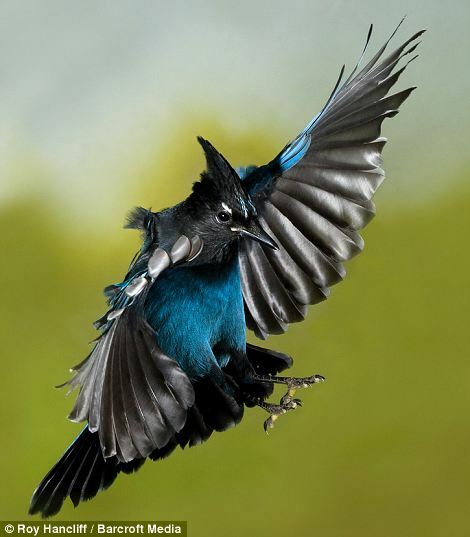 I will never think of a Steller’s Jay as pesky again. To get these crisp, uncluttered backgrounds, Roy painted large backdrops that he hung behind his garden. 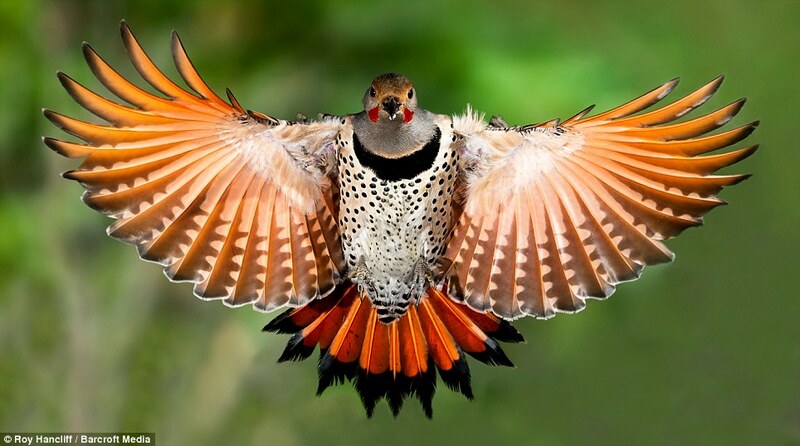 This is a Northern Flicker. Besides the stunning color and razor-sharp details, I can’t believe how Roy managed to capture this gorgeous bird head-on like this. 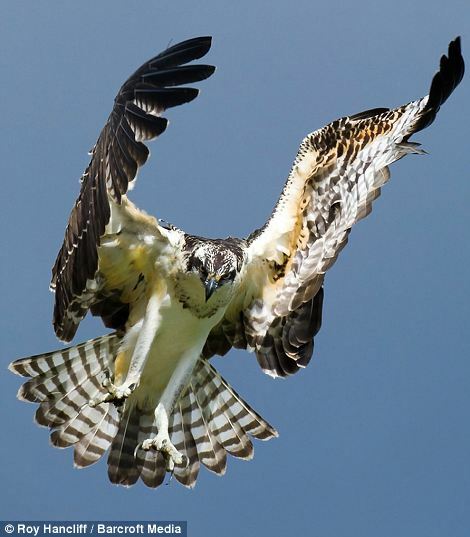 An Osprey. I wonder why when frozen in time like this these birds take on an unreal quality? I believe this is another Black-capped Chickadee, shot from behind. Not sure. But front or back, the point-of-view on these shots is spectacular. No matter what, I think Roy needs a book deal right quick!!! Do you know your birds? These Sibley Backyard Birding Flashcards: 100 Common Birds of Eastern and Western North America can help you learn your first 100! Previous Post: Succulents: How Far Can You Go? Wow! Great photos! Thanks for sharing! These photos remind me of a bird story. Once I was walking on hills near the ocean. As I rose over the crest of the hill, strong winds were blowing from the ocean. And there at the peak was a lone bird, surfing the wind. Wings extended, he hung in the updraft staying aloft without flapping his wings. The best part was that he was actually playing in the wind. 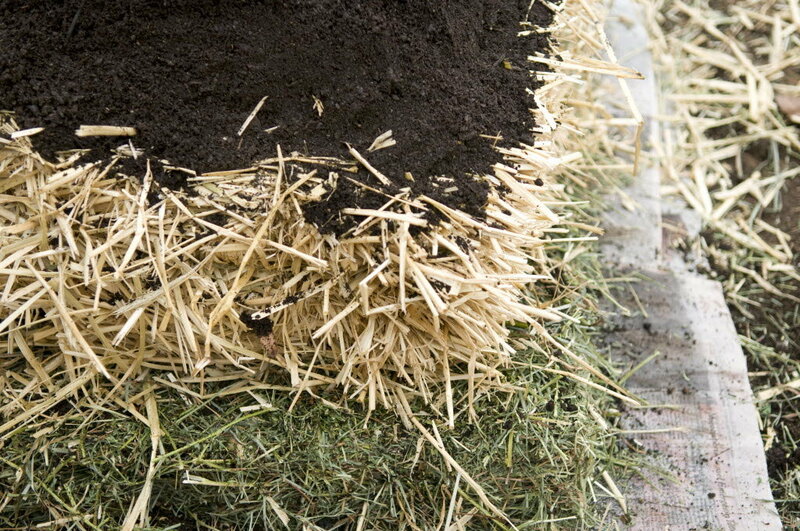 He had figured out how to do a barrel role and repeatedly rolled in the strong wind current. It was delightful to watch. Click To See Popular Posts!